Let it be remembered, finally, that it has ever been the pride and boast of America, that the rights for which she contended were the rights of human nature. By the blessing of the Author of these rights on the means exerted for their defense, they have prevailed against all opposition, and form the basis of thirteen independent States. No instance has heretofore occurred, nor can any instance be expected hereafter to occur, in which the unadulterated forms of republican Government can pretend to so fair an opportunity of justifying themselves by their fruits. In this view the citizens of the United States are responsible for the greatest trust ever confided to a political society. If justice» good faith, honor, gratitude, and all the other qualities which ennoble the character of a nation, and fulfill the ends of government, be the fruits of our establishments, the cause of liberty will acquire a dignity and lustre which it has never yet enjoyed; and an example will be set which cannot but have the most favorable influence on the rights of mankind. If, on the other side, our governments should be unfortunately blotted with the reverse of these cardinal and essential virtues, the great cause which we have engaged to vindicate will be dishonored and betrayed; the last and fairest experiment in favor of the rights of human nature will be turned against them; and their patrons and friends exposed to be insulted and silenced by the votaries of tyranny and usurpation. 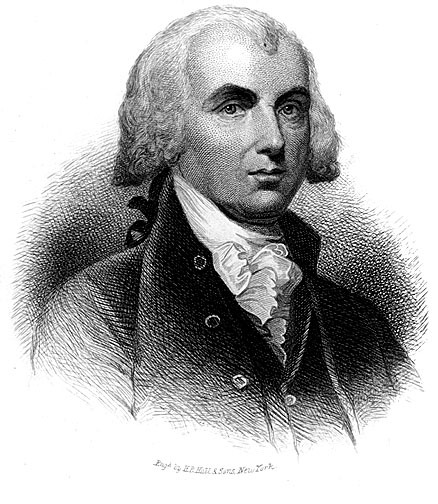 Source: James Madison. Excerpt from his April 26, 1783, “Address to the States.” Spelling modernized by Mr. Farrell. Liberty Letters is a project of The Moral Liberal’s, Editor in Chief, Steve Farrell. Copyright © 2012 Steve Farrell.